Costume Contents: Includes single piece jumpsuit of Tiger with hood. Imported quality. One of the largest cat species, most recognizable for their pattern of dark vertical stripes on reddish-orange fur with a lighter underside, the Tiger is India’s national animal. Check out more interesting facts about tiger here Wikipedia Link. Be assured that your kid looks imposing as one the most charismatic animals, wild and proud. 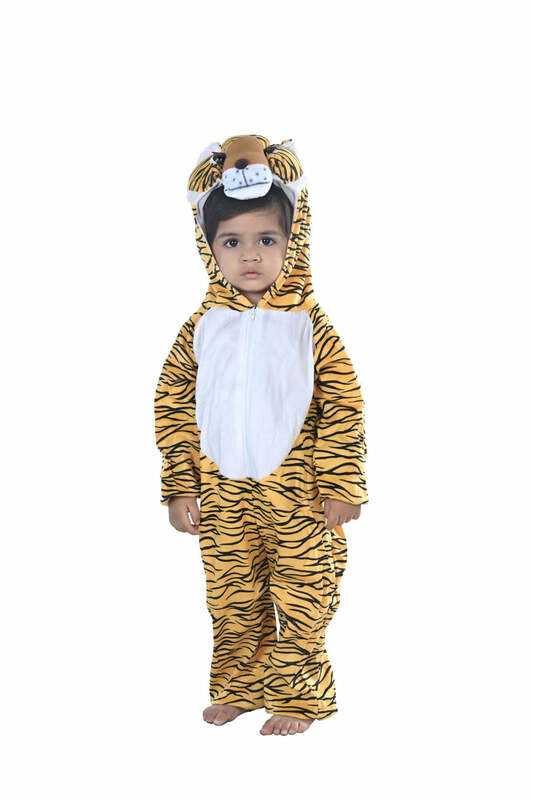 Keywords: Tiger fancy dress, bagh fancy dress, baagh, royal bengal tiger costume, animals kids fancy dress costume.